You might want to step back, because I’m about to get all sorts of personal on your dash. I’m sorry, that ridiculous pun sounded a lot better in my head. Getting to the point though, I’m just going to give you a brief overview of what is going on in my life, and what that will mean for my blog. A couple of weeks ago I was hired on for a full-time phone customer service position. Not a big deal, and I don’t start until early to mid February which means nothing has changed as of yet. I don’t know what my shift is, and I won’t know until the middle of March what it will be. As it stands now, that one job won’t change much when it comes to posting. The thing that might make my posts more sporadic is the fact that I will be looking for a part-time position as well. I know what you’re thinking, “Johana! A part-time and full-time job isn’t going to occupy all of your time.” Okay, maybe you’re not thinking that, but if you are then I’d have to say that you would be right. Keep in mind we have to factor in time for sleep as well as time for eating and exercising. That shaves a bit more off my available hours within any given week. Once again that is not what I am worried about, I’m more worried about the fact that I am also going to continue going to school full-time. With my procrastination techniques firmly in place, I do believe my posts will be limited. I’m hoping for once a week at least. We will see how well that works out. Just wanted to keep you updated as I continue on in my endeavors of paying my bills and getting educated. With any luck I’ll be able to make it to graduate school with only a bit left to pay on my car. Why did nobody tell me adult life was going to be so stressful? It’s really a little bit embarrassing how long it has been since I have last posted. Actually, it is even more embarrassing how long it has been since I last even logged in. I’ve been meaning to, I really have. Intentions don’t really lead to actions I have discovered. The longer it took me to come back and post the more I started putting it off because I was ashamed. Now I’m making this post, however short it might be, to get back in the grove of things. This post is acting as my apologies to those of you who have ever enjoyed a post of mine, or that I have become friends with. I never meant for my absence to become this extensive. I have a full-time job now, a part-time job, and I am still going to school but I’m going to find the time because I’m determined. And really, how hard could a 200 word post be when I’m writing 3-4 papers a week. That’s all I’m saying. Yes, it has taken all my attention, and even completing my homework assignments have become more of a chore because I’m so immersed within my story that I don’t want to take the time to write down anything but. From that description you might think that I was on par for my word count, you’d be wrong. I’m dreadfully behind, but I do have plans to catch up within this last week of writing. After all, I’ve done it before, I can do it again. Hopefully. Pushing all thoughts of NaNoWriMo aside I wanted to come on here and check in with everyone. It feels like I don’t even know what is happening in the blogosphere anymore, and that is not a feeling I like. Over the last few weeks I have been writing, but more than that I have been working. My job affords me the ability to see all kinds of students in different settings. Some of these settings are stressful, and some of the students are aggravating, but it’s all manageable. I had one particular eighth grade boy who had quite the mouth on him, but that is a story for another time. I also went to see Mockingjay, because I am quite obsessed with The Hunger Games trilogy. I’m quite obsessed with a lot of things actually, so that’s not really news. And I somehow lost the point of this post within the brief update of my life. What have you all been during the month of November? If there are any posts/events you want me to check out send me a link and I’ll be sure to comment and like them. It might be a while before I see them otherwise, because I tend to get a bit sidetracked. Obviously. There are so many posts that I have in mind, and I have to remember that I can only take them one day at a time. I always tend to bite off way more than I can chew, and my online persona has also seemed to acquire that trait. Oh well, not much I can do about it now. I will just have to keep checking off the posts one at a time and hope that I do not lose my creative steam in the process. I am continuously amazed by the blogging community the more that I spend time here. The people I have met here are so creative and nice, I just cannot help but to remain in awe over everyone. That being said, I get a pleasant little bubble of warmth once someone informs me that my blog makes them feel the same way that his/her blog does to me. Unintentionally, I have been putting off making this post for no other reason than every time I sit down to write it, I am overwhelmed by this incurable warm-and-fuzzy feeling that makes my brain melt. I love it, of course, but it’s not very productive. Anyway, I was finally able to overpower that brain fuzziness and make this post. Yet, I still cannot comprehend the fact that I have received not one but two nominations for the One Lovely Blog Award. If I’ve ever had a prouder moment, I cannot recall. I just want to give the biggest of thank you’s to both Apricotowl and GuyDreaming for the nominations. They mean more to me than you can imagine, and I am so pleased that you both thought of me. Both of these amazing people deserve incredible viewership, so if you have not yet checked either of them out I urge you to do so. Apricotowl does some amazing spreads on makeup, and has incredible humor. Guydreaming has a strong voice that makes you want to stop and read, and his matters stem from the heart. Thank you both again, you are incredible people! Okay, What is the One Lovely Blog Award and what are the rules? 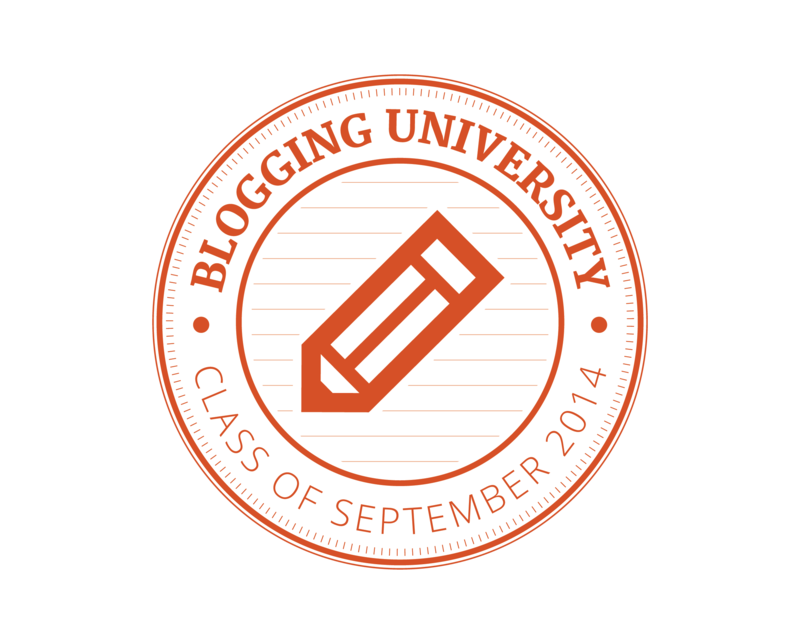 Nominate 15 bloggers you admire and inform the nominees by commenting on their blog. I have three tattoos, and I plan to get a few more. I keep joking around and telling people I’m going to get a tattoo for every year of my twenties, we’ll see. I’m the youngest girl of 11 cousins. Sometimes that can be tough shoes to fill, because everyone feels the need to have a say in my life. Sometimes I feel like I have no idea what I want to do in my life. Not a good feeling when you’re in the midst of a Bachelors degree. Over the course of my life I have learned over eight different instruments. Not sure I can still play them all, but they’re in there somewhere. There has only been one city that I have lived in. So far. I love tea. Not a big coffee drinker, but sometimes I like it. I craft words to inspire. I can only hope one day that they make the impact I’ve always hoped they would. As always, there are so many people that I would love to nominate, but a lot of them have already received the award/do not wish to receive an award. My nominations are for anyone out there (named or unnamed) who has a pure voice and great humor. Continue to be you, because you are all lovely people. Just as your blog’s are lovely. In a years time, my plan is to be living and attending school somewhere on the East Coast. It’s going to be a major change, and I’m going to have to make the most of whatever tiny space I can afford. I’ve been really into looking at minimalist living lately, because there are some very fascinating living styles. Since I will not know anyone, my desire is to have my home feel as comfortable as possible. The first design I checked out was amazing. Made out of steel and crammed into a width of five feet, this home is not for the claustrophobic. As much as I loved the concept, I’m not sure such a fit would be right for me. I do classify myself as a claustrophobic for one, and my family will undoubtedly want to visit me at some point. Not really a good location to have anybody come over. There also is the small factor of me planning to make friends at some point. I am a homebody, so I would prefer to hang out at my place when possible, and this design does not allow for that. It’s truly magnificent though, for those who are able to pull off living there. It’s probably super expensive. Damn them for not putting a price on it in order to quickly dash my dreams, now I’m going to have to draw out the sweet agony of wanting what I most likely can’t have. These videos serve as inspiration, because with a bit of intelligence (and money of course) even the smallest of spaces can become comfortable. It’s always a sort of thrill to log in to WordPress and see the notification button lit up with its orange background. That means that someone, somewhere liked what I had to say, and it makes me happy to know that my words mean enough to someone that they wanted to let me know. I thought nothing could be better than that feeling. Today when I logged on, I had that same orange highlight around the symbol that tells of a comment. Immediately I clicked the button, because I couldn’t wait to see what someone had commented. That was when the shock set in, not only had I received a comment, but the wonderful Guy Dreaming nominated me for the Liebster Award. A simple thank you does not seem like enough, so I recommend checking out his blog; he has a wonderful way with words and his posts are very thought provoking. You won’t regret it! The Liebster Award provides a wonderful outlet in finding new amazing bloggers by seeing other recommendations by we the bloggers. It’s wonderful, really, and I’m proud to be a part of it. I can be somewhat of a neat-nut. Everything has its proper place in my room. I have unsuccessfully tried to start a blog at least two other times. Finally, I succeeded in my attempts with Day to Spade. I’m not a big fan of chocolate. I’ll eat it in moderation, meaning it has to be a light layer covering a cookie or peanut butter or something of the like. Procrastination is my way of life, I’m fairly surprised I’m getting this out so quickly. When I play sports, I do it to the extreme. It ends in a lot of fun and bruising. Sometimes there is blood. I love all animals, but I’m obsessed with cats. I own a lot of hair/makeup products. I’m usually too lazy to use them though. Really big fan of photography. I have a nice camera, I just don’t know what I’m doing. I have hobby rotations. I tend to focus on one at a time and then cycle back through. I’m pretty good at archery. I have a hay bale set up right outside my front door for practice. It’s rare for me to feel bored. I’ve got so many random thoughts that I don’t even have time for boredom. I would love to nominate more, but I struggled with just these ones. Half the people I wanted to nominate had over 200 followers, and I’m not even sure how many followers some of these nominations have. Anything with fries. No, just kidding, kind of. I really like grilled salmon and corn on the cobb as a meal. I don’t. I literally do nothing about stress. It ends up boiling over and eventually I have a break down. It’s bad; I’m working on it. The Castings Trilogy by Pamela Freeman is amazing, and not a lot of people have heard of it. I definitely recommend it. If I had to pick one though, I’d have to say Full Circle wins. Who has been the most influential person in your life this far? There are so many authors I could pick who have influenced me, but the real answer would have to be my mother. She helps me more than she or I even realize, and as I get older I’m beginning to appreciate all that she has done more. I’ve had a lot of whims in my life time, and she has supported every single one of them. I don’t think she will ever realize how grateful I am to her. A less sentimental answer would have to be Tina Fey. She’s my spirit animal. What is your favorite game (board, card or recreational)? Chrono Cross for Playstation. It’s old, and it’s my childhood summed up into one game. I will never stop loving or playing that game. What is your all time favorite TV show? This changes on a day to day I’m sure. I used to love NCIS; then Ziva left and it all changed. I’d probably have to say InuYasha for the same reason as Chrono Cross. Or Psych, because the Shawn and Gus bromance is something I idolize. My super power would deal with time. Stop time, go back in time, fast forward time. I just want to be able to have control over time, because I don’t ever feel like I have enough of it. Plus, if I was able to pause time and write that would be amazing. Other than your blog, what is your favorite form of Social Media? Tumblr. I’m on it all the time. Which family member are you most like? My brother, it’s actually pretty creepy how similar we are. If salary and skill set were not an issue, what would your dream job be? Actress/Musician/Author. More leaning towards the latter two. I love writing, and anything that can act as a creative outlet for me. Which is how acting comes into play. What is the oddest thing that you own? Do you have a go-to movie? Do you prefer writing by hand or by keyboard? Why? What is your favorite out door activity?